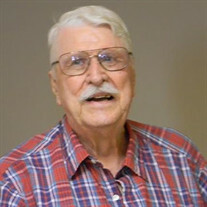 John Phillip Lamp, age 94, of Lake Lure, NC, died Saturday, September 10, 2016, at the Hospice House of Rutherford County. He was the son of the late John Samuel Lamp and Margaret Lamp. In addition to his parents he was preceded in death by his wife Edna Mae Lamp. John was a native of East McKeesport, PA. He also loved everything to do with aviation. David Lamp and his wife Annette of Morrisville. A memorial service will be at 2:00 PM Saturday, September 17, 2016 at McMahan's Funeral Home Chapel with Reverend Terrell Dillingham officiating. The family will receive friends from 1:00 PM to 2:00 PM Saturday, September 17, 2016 at McMahan's Funeral Home. An online guest register/tribute wall is available at www.mcmahansfuneralhome.com. McMahan's Funeral Home & Cremation Services is in charge of arrangements.